1. RENT A CAR IF POSSIBLE: Many first-time American visitors will use a tour bus for the land portion of their trip because they are fearful of driving in a foreign country, on the wrong side of the road on the wrong side of the car. If you are a good driver, you will be able to handle driving in Ireland. If you're a little nervous, rent a car with an automatic transmission. It costs more, but shifting is one less thing to think about while driving. That said, a group tour traveling by tour bus can be a wonderful experience. But if you choose to go with a group choose one that will offer some level of flexibility and will visit some of the "hidden Ireland." The flexibility of having your own car is twice or three times the value of being dependent on a second party. Also, it's often cheaper to make your car rental reservations on line when you book your airfare. I use Orbitz and Travel Zoo. You can specify the size of the car, insurance choices and standard vs. automatic, and it will be ready for you when you arrive at the airport. 3. HAVE THREE GOOD GUIDEBOOKS: Guidebooks are written from different perspectives and not all are equal. Most focus on accommodations, attractions and dining. Some will have more details than others. Many are out of date because things change so quickly in Ireland, and it's too expensive to publish a guidebook every year. I have recommended 3 guidebooks that I use to get a comprehensive and up-to-date view of Ireland, but search around and pick three that you like. Look for up-to-date information, comprehensive coverage of sites, and a specialty guidebook suited for your interests (nature, history, golf, literary, pubs, etc). You can read about these 3 books in greater detail in my Top 3 Ireland Guidebooks post. Ireland 2009, by Rick Steves has the most up-to-date information. Rick Steves is the number 1 selling guidebook author in America and he updates his guidebooks every year - so admission prices, accommodation costs, and local information is the most accurate you can get. Rick was a history major and it shows in his writings. He adds interesting historical tidbits. His section on Ireland Past and Present gives a concise view of Ireland's evolving history - a perfect primer for the traveler. The Ireland Country Guide, by Lonely Planet has the most comprehensive list of sites, attractions and accommodations, as well as tons of photographs and historic background. I love the "voice" of this guide - very casual, very personal. This is the best comprehensive guide I've found for planning and I carry it my car when traveling in Ireland. GUIDEBOOK COST: A guide book costs about $20. Consider this an investment in your trip. If you're spending hundreds or thousands of dollars on a vacation, money you spend on guidebooks will deliver 10 times that amount in travel experience. 4. PLAN, PLAN, PLAN: Planning before you leave home will make the difference between your being a tourist with limited experiences, or a savvy traveler - or better yet, being a pilgrim. 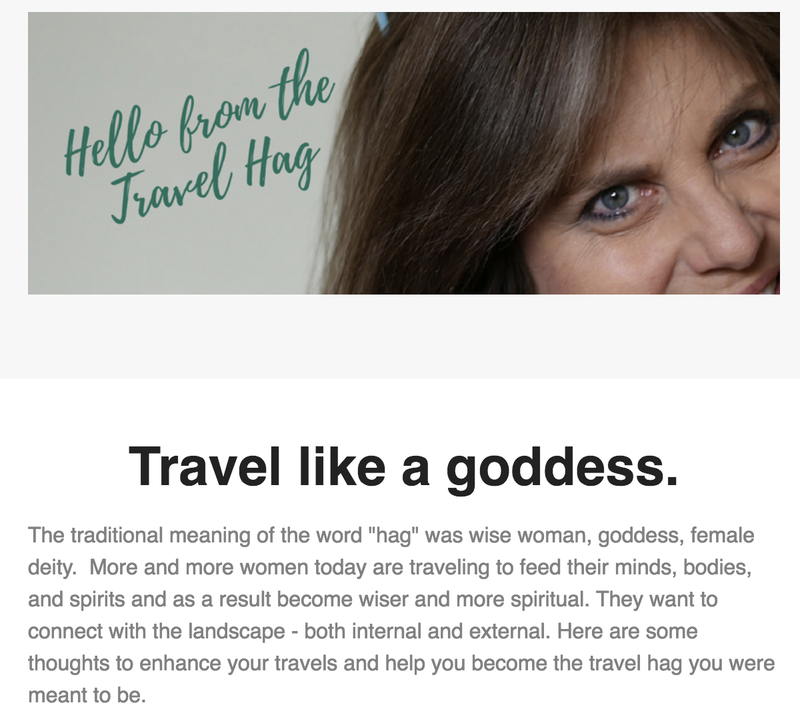 (Pilgrim definition - A "pilgrim" is someone who travels within the context of a story - kind of a "theme traveler" - more on this in another post). Use your maps and guidebooks and make a list of sites that interest you well in advance. Then map out your course (read steps 5 and 6 before mapping out). Reserve your accommodations in advance (most will reserve via the Internet). Check with a travel agent to assist you with possible special deals concerning airfare, hotel, b&b and admission to attractions. 5. STICK TO ONE REGION (OR TWO): Because Ireland is small country (about the size of West Virginia) visitors often cram too much into one visit trying to navigate the entire country. If your trip is one - two weeks long, try to see more sites in less miles of travel. Your experience will be richer as you will be less tired and will have more time to hook into the Irish culture. Don't rush. The typical Ireland tour has 40-50 visitors on a large tour bus traveling for 10 days seeing Dublin (Trinity College), Blarney Castle, Ring of Kerry, Cliffs of Moher, Newgrange, Bunratty Castle, Waterford Factory, Guinness Brewery, W.B. Yeats' grave, and maybe (if you're lucky) Glendaolough or the Giant's Causeway - with various pubs along the way. All of these are very worthy sites to visit - but if these sites are crammed into one ten-day tour, you'll pass by much of Ireland. You'll also experience less of the local culture. Dublin and the East: If you love history, architecture and culture, then visit Dublin with Trinity College, the Irish History Museum, the restaurants, theater and shopping. Also in this region is the Hill of Tara, Newgrange passage tombs, and the Boine valley. The Wicklow mountains are near with the ancient monastic city of Glendalough. Kildare is a close ride and is famous for the thoroughbred horses, the curragh, the Japanese Gardens, and the holy wells and monastic sites of St. Brigid. The West: If you love a wild landscape relatively untouched by development with archaeological wonders - visit the West. The Burren with the ancient Poulnabrone dolmen, the hills and bogs of Connemara - some of the rarest "light" in Ireland, Galway, Westport, the Literary paths of W. B. Yeats and Lady Gregory, the Aran Islands, the sheer cliffs of Achill Island, the Shrine of Our Lady of Knock, and pubs full of traditional Irish music. The South has beautiful coastlines, castles, formal gardens, and the second largest city- Cork, as well as Cobh famous for its port, Wexford the medieval city, and Kinsale which is becoming known for gourmet restaurants. The south is famous for its beautiful, scenic fingers - The Beara Peninsula, The Dingle Peninsula and the Iveragh Peninsula (Ring of Kerry) landscapes that rival any in Western Europe for beauty. The North has the hills of Donegal (one could spend a week here and never run out of things to see) and the wonderful counties of Northern Ireland - Fermanagh with its scenic lakes and megalithic monuments, Belfast - a historic, vibrant city, Derry - the only completely walled city in Western Europe, the Glens of Antrim, the Giant's Causeway, the oldest continually operational distillery in the world - Bushmills, and the home of St. Patrick - Armagh. 6. STAY AT LEAST TWO NIGHTS IN A LOCATION: There's nothing that tires a traveler more than schlepping their gear in and out of the car and hotel room, checking in and checking out. When you plan your trip, pick "hubs" where you will stay for a few days, then make day trips from there spanning out like the spokes of a wheel. You can travel 40 to 50 miles in an hour which covers a lot of territory in Ireland. Staying in one place also helps you get to know the people of that locale, especially if you're staying in a B&B thus getting maximum exposure to Irish hospitality - one of the country's greatest tourist assets. Choose your "hubs" or central locations, then decide if you want to stay at a B&B or Hotel. B&Bs are pretty modern these days, offering private bathrooms (en suite) and televisions. Some even have phones for guests, dinners upon request, family rooms, and high speed Internet access. The benefit to a B&B is expense (they run cheaper than hotels) and the friendship guests gain with the host family. You experience hospitality up-close and personal. Hotels and Country houses are another option. Once you've identified your "hubs" choose accommodations and make reservations before you leave. The Irish Tourist Board has good listings for B&Bs, hotels, country houses, hostels, camping sites and self catering on its website. They will also send you free booklets that have comprehensive lists of these types of accommodations. 7. PUB FOOD VS. RESTAURANT: Most pubs serve food, so consider them for lunch and dinner. If you're entering a restaurant, take notice whether or not there is a pub attached to it. In many cases the pub offers the same food at a cheaper price. At a pub you can usually pick a table and sit away from the bar (if you want privacy and don't want conversation). I always go right up to the bar and sit down. I ask if they serve food (the answer is almost always yes), then I order and eat at the bar. Invariably someone will speak to me / us. The visit is much more pleasant, and I spend less money for the meal. 8. RENT A CELL PHONE IN IRELAND: On my last trip to Ireland I used my personal cell phone, stayed 10 days and my cell phone bill was $358. I did speak to my husband each day for a few minutes, but we paid overseas long distance charges at both ends. Additionally I made many calls in Ireland - phoning the B&Bs, calling ahead to attractions to check hours, calling to local tourism offices to find out where the nearest Wi-Fi cafes were. I discovered later that you can rent a phone and pay by minutes of use and it's much cheaper. In most cases you can find a vendor near the airport. 9. USE THE ATM (CASH POINT) TO GET EUROS: Exchange rates vary and if you're wanting to get your Euros before you leave home - don't. It costs you to use those exchange stations. Once you're at the airport ask where the nearest "cash point" machine is. You insert your VISA or VISA Debit Card and withdraw however much you want. Only take as much as you need for a few days, as these machines are in every City. The exchange rate is lowest this way and you don't have to worry about carrying lots of cash to get you through the vacation. Check with local bank before you leave to see if they impose an additional fee for these withdrawals. 10. VISIT THE ROCK OF CASHEL: Every person should visit the Rock of Cashel at least once in his or her life. To me, this is the most amazing site in Ireland with the most rich history - both legendary and mystical. The rock itself is geographic wonder. The fact that civilizations living in the Golden Vale of County Tipperary have held it sacred for centuries and marked it with various monuments is also a wonder. This was where the Kings of Munster ruled - including Brian Boru, the High King of Ireland. Ruins of Cathedral are atop the Rock today. I visit Cashel every time I go to Ireland. It is a thin place. 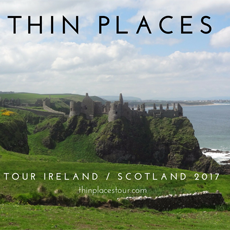 Check out our Thin Places Mystical Tour of Ireland this September. Your readers might find my link useful for further information on the mythical Aran Islands. Wish I'd found your site before our trip, very nice. Visited Thoor Ballylee on August 26, 2010 - it's closed due to flood damage from last winter, with no date set for re-opening as restoration has not begun. Still, a thrill to walk in Yeats' steps in this lovely spot. Wow - so sorry to hear that about Thor Ballylee. I could tell when I was there that the budget was thin and they were barely able to keep it open. When we were there last year in September they weren't due to close until October 1, but decided to close early due to lack of tourists. People were inside packing up the gift shop. I told them I was a writer and desperately wanted to see Yeats' living quarters. They allowed my husband and I free reign of the whole tower for about an hour - with no one there save us and the ghosts. What a lucky day that was. If you haven't read it, I did a post on Thoor Ballylee. What a thin place it is. Hi 'Mindie', I agree with you. All these places in Ireland are really beautiful and when a person visits this country, he/she should visit these places at least once. and Tipperary has some lovely places - my favorite thin place of all is in Tipperary. #10 above. Slainte!